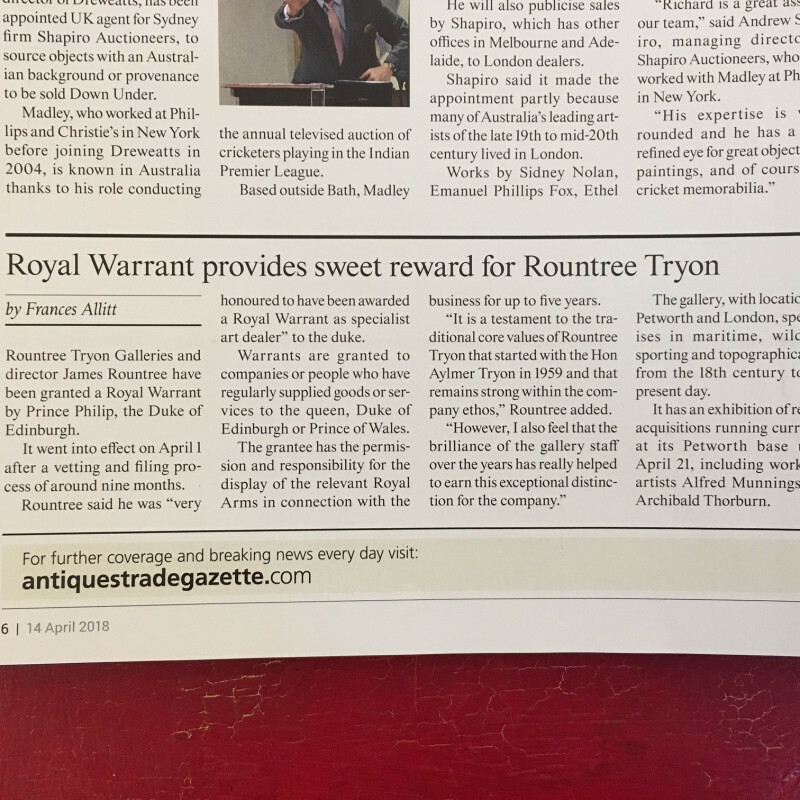 We are pleased to announce that, as of April 2018, Rountree Tryon Galleries Limited and James Rountree Esq have been granted a Royal Warrant of Appointment to The Prince Philip, Duke of Edinburgh as a Specialist Art Dealer. Royal Warrants are granted to companies or people who have regularly supplied goods or services to either the Queen, the Duke of Edinburgh or the Prince of Wales. The Royal Warrant is the document that appoints the company in its trading capacity, and is granted to a named individual, known as the Grantee. 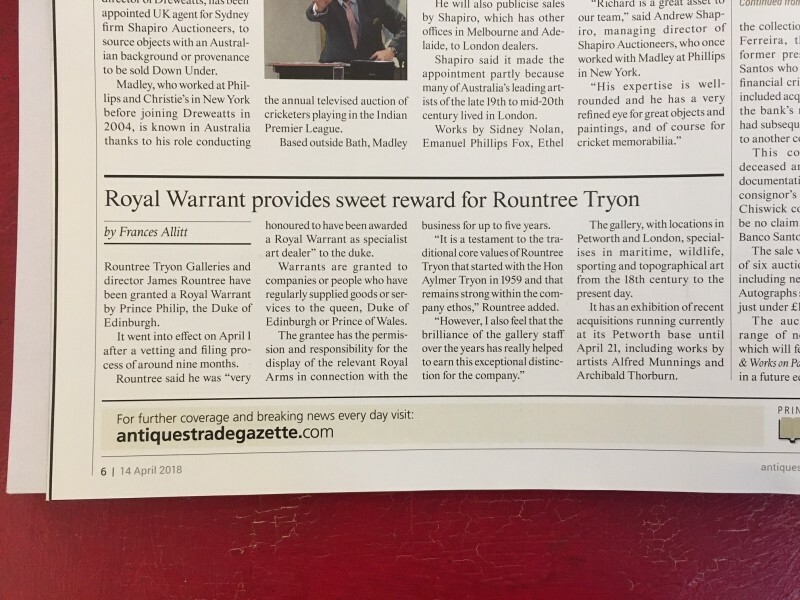 The Warrant gives the Grantee permission, and responsibility, for the display of the relevant Royal Arms in connection with the business for up to five years. Please visit https://www.royalwarrant.org for more information about the Royal Warrant Holders Association.